This is one of the more simple things we’ll post on Publin, but it’s the kind of entertainment that any lover of the Dublin pub will enjoy. 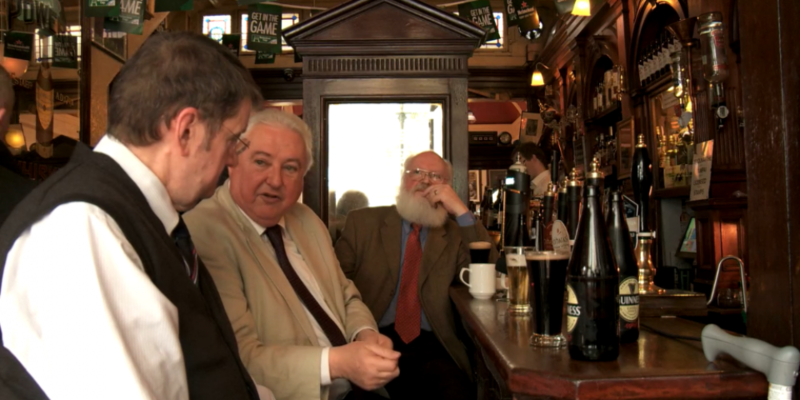 Here’s a short conversation between a few regulars and publican Liam Aherne in The Palace Bar on Fleet Street. 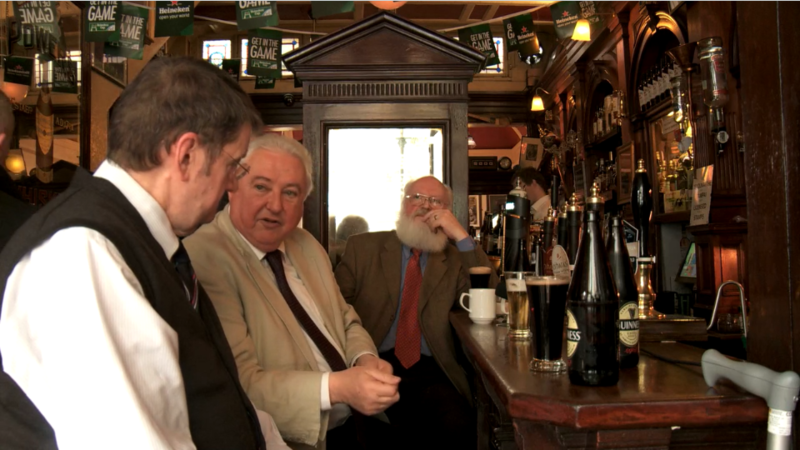 The discussions are outtakes from the excellent 2013 documentary ‘The Irish Pub’. They discuss the importance of the pub to rural and urban areas while having a jar and a laugh at the same time. Tommy Wright – THE PALACE BAR – Extract from Fegan Films / Atom Films on Vimeo.